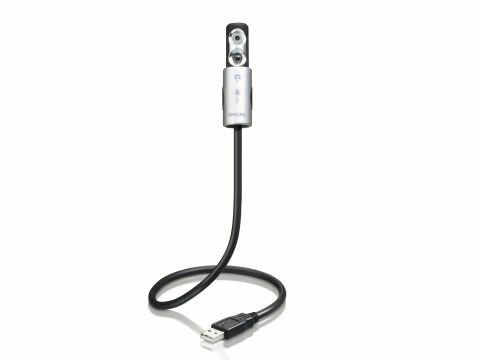 Designed specifically with the laptop user in mind, this handy little webcam comes with a flexible cord, so you can position it where you need it. The camera is protected by a sliding cover, which if you pull further down reveals a bright beam spotlight, so you can get the most from the unit even in poor lighting conditions. Powered by USB, you'll need to install the camera software, but this is quick and gives you access to the 640 x 480-pixel resolution camera. While this isn't as high as we would have expected, you can still take pictures at 800 x 600 pixels. Increasingly, such cameras support video capture and, with a reasonable 30fps (frames per second), you'll only be limited by the speed of your Internet connection. It's a neat solution and the £40 price tag isn't too much to ask for the flexibility on offer.